A Bill seeking to create a legal framework for the regulation of activities, practices, apparatuses and facilities involving ionizing radiation and nuclear technology was passed in the House of Representatives on July 8. The Bill entitled, the Nuclear Safety and Radiation Act, was piloted by Minister of Industry, Investment and Commerce, Hon. Anthony Hylton. The Minister noted that all activities relating to radioactive material, nuclear material and ionizing radiation apparatus should be made subject to standards of safety and security. The Minister noted that all activities relating to radioactive material, nuclear material and ionizing radiation apparatus should be made subject to standards of safety and security, as exposure to high levels of ionizing radiation can have deleterious effects on people, property and the environment. Accordingly, Mr. Hylton said the objectives of the Bill are to protect people and the environment from exposure to ionizing radiation to the maximum extent that is reasonably practicable, taking into account social and economic factors, and recognizing the need for the use of ionizing radiation for beneficial purposes. Other objectives of the Bill include: to protect radioactive sources from misuse that may result in harm to people or the environment; to promote radiation protection principles and an effective nuclear safety culture; to provide compensation for damage, loss and injuries caused by ionizing radiation; to allow for the beneficial and peaceful uses of nuclear technology; and to facilitate Jamaica’s compliance with international obligations arising under the Conventions. In addition, Mr. Hylton stated that the Bill makes provision for the establishment of a national regulatory body referred to as the Hazardous Substances Regulatory Authority. “(This is) a body corporate, which will, among other things, grant authorizations, establish operational standards, regulate and monitor activities, practices and facilities utilizing ionizing radiation and nuclear technology,” he explained. He further noted that the Bill makes provision for the establishment of a Board of Directors for the Authority, which will be responsible for the recommendation of policy and general administration of the affairs of the Authority. The legislation also prohibits the building, importing, exporting, and operating of a research reactor; the acquisition or development of nuclear explosives; the developing, producing, otherwise acquiring, stockpiling or retaining of radioactive material or nuclear material for the purpose of producing a weapon, and the disposal of the said materials except in accordance with the authorization granted. In his contribution, Minister of Health, Hon. Dr. Fenton Ferguson, highlighted that the passage of the Bill will be of great importance to the health sector. 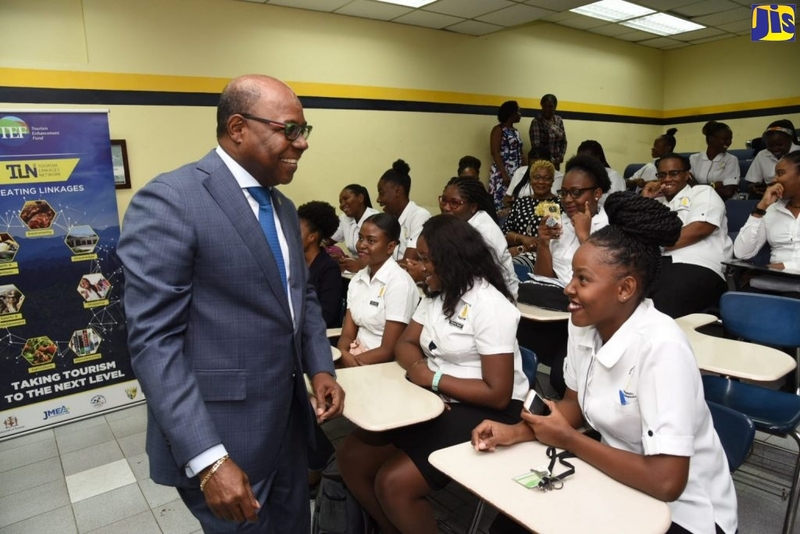 He explained that the Government is investing US$14.5 million in the setting up of two cancer treatment centres, which will be equipped with state-of-the-art equipment, to deliver the most advanced cancer care to Jamaicans. They will be outfitted with linear accelerator (LINAC) machines, which are the most modern technology in radiotherapy treatment. “We will not be able to bring in the equipment without this piece of legislation,” Dr. Ferguson said. The Bill is to be sent to the Senate for debate and approval.